Went dancing last night. Yes, I know, disbelievers, but I do dance. No, not by myself. Seems S-S and I crashed a party. We’ve done that before at a Parrot-Head convention in Key West but that’s another story. For the first Twenty minutes or so of music we were the only couple dancing, the sole, single solitary couple. An eerie feeling. Had we crashed a funeral? So we took a break and went outside for a bit of fresh air. And then the most important condition of all: 3. The DJ must play Alice. You know, Alice. A little dittie about living next door to Alice. Don’t pretend you don’t know what I’m talking about. You haven’t lived until you’ve seen and heard 60, 70 and 80 year olds screaming out the improvised, four-letter add-on to the song. On one level I see it as a celebration of life; on the other hand, aren’t they just ‘dirty old people’? I tend to lean to the former since I was also up there yellin’ and hootin’. Here is a link to the song just in case you are still pretending to not know what I’m talking about. There now, aren’t you happy you are enlightened. I know some of my children think I walk on water and am above such crass things as dancing but the truth is, life is too good to just keep getting your feet wet, and I do like to dance. And for those of you who still claim to have not known the song your life education is now complete and you have discovered a new ear worm that you can hum along to in a crowded elevator or in a business meeting. See who joins in. Had to get up early just the other day. What an experience! Sometimes it’s good to break routines and find out how others live in this world. But let’s not get carried away. This is not the new norm. Thank goodness I could recuperate with an afternoon nap. Life can be tough sometimes but only we the strong will survive. 9:00 a.m.. Who invented such an ungodly hour! Another thought crossed my mind recently, although with only a few neurons firing at any given time the route has occasional traffic jams. Anyway, I think I have uncovered another blatant case of ageism! Another, you ask! Well look at my insightful July post Why Not Stat Holiday Pension Pay For Retirees? . In short, why are we retirees denied prescription snowbird travel and prescription libations? While out of the country we are not a strain on our stretched medical system; we are not taking up hospital beds; not taking up doctors’ time; and as long as we are not in the US medical-insurance house of horrors we can get cheaper meds in such places as Mexico. “Ah,” but you say, “Wouldn’t that be 3rd world medicine?” Think again. 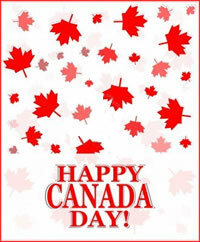 Many, if not most, hospitals, doctors and dentists where snowbirds stay are US trained. Our home doctors and dentists will list horror stories of people who have had the gall to have treatments done out-of-country. But medical tourism IS big business. A cost-benefit analysis would probably show that it is cost-effective to ship the old folks down south; or at least pay for us to ship ourselves. Now I am not talking about first class travel. Business class will do. Perhaps they should mandate seniors having to leave the country, thereby outsourcing our medical costs. Hopefully I have made my main point. Now let’s go one step further. What about the liquid medical: Prescription pina coladas, medical margueritas; tonic tequila? Sedated seniors are happy seniors. 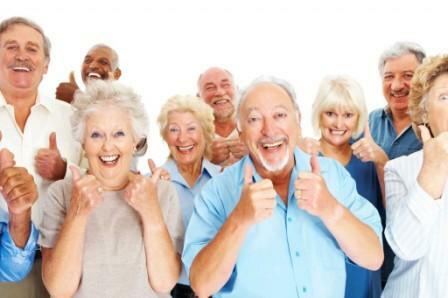 Happy seniors are low cost seniors. I tell ya, it’s hard being an inspired, creative thinker but somebody has to do it. Don’t be shy. If you have thoughts on this profound topic, let me know via the comments box below. Father’s Day in Gimli. Rainy, windy and 14°. Oh well, its only June 15 after all. Why would I expect summer-like weather. But it’s Father’s Day and I got gifts. I don’t know if there is an equivalent to the Easter Bunny so I have to assume they came from S-S. I can be pretty sharp sometimes. Any way, one of the gifts was a an edition of one of my favourite series of all time, Rupert the Bear. What follows is a sad tale. 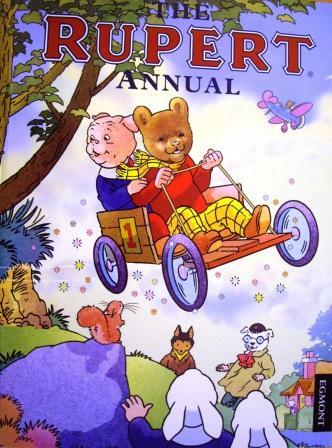 As a child all I ever wanted was a Rupert the Bear book for Christmas. Everyone else got them but yours truly: little sister, little cousins, the kid in the flat next door. I’m sure you can feel my pain. Their libraries built up, mine remained empty. Later as a young adult with income of my own I was able to start a belated collection, only to lose it all in a house move. Oh the tragedy! Life will be good, what I remember of it that is. With Rupert, even if I cannot read at least I can look at the pictures.